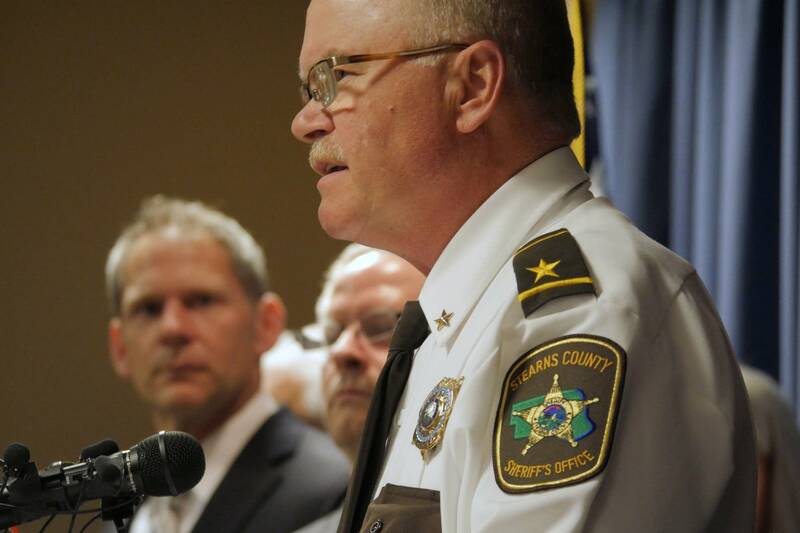 John Sanner, the Stearns County sheriff since 2003, considers himself a man of the people. Since taking office, he said, he has spent nearly every weekend of every summer riding in parades, appearing at festivals and attending church socials. "And I love that because I'm not delivering bad news," he said. "I'm just talking to (people). "It's kind of a unique experience when you are a county sheriff, because I think it's one of the only elected officials in the state of Minnesota that people still like to associate with and see," Sanner said. "And when I go to community events, I always go in uniform. I'm always very recognizable. People would call that politics maybe, but as it turns out, I feel that as a county sheriff, you need to be accessible and accountable to the 170,000 people who live in the county. And that is what I do to keep myself accessible." He's been elected four times. Sanner was raised in the tiny town of Lancaster, Minn., in Kittson County near the Canadian border. His family ran a grocery store, where he swept floors and bagged groceries. "I had an uncle who was in the State Patrol and I always kind of wanted to get into law enforcement," he said. He helped put his wife, Juli, through nursing school and then went back to school himself. "I was a nontraditional student, I suppose, because I was closer to 30 years old than I was to 20," he said. He studied at Alexandria Technical & Community College and, in 1984, was hired by the Stearns County Sheriff's Office. 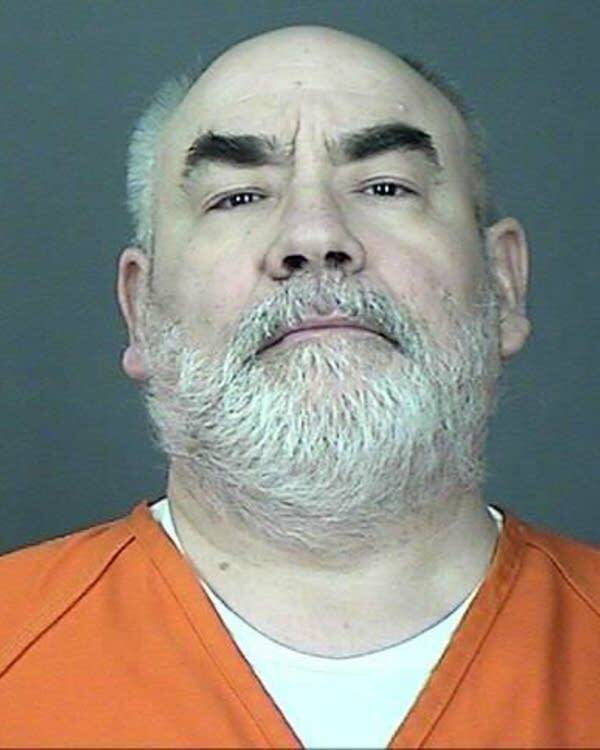 By the time Sanner became sheriff, the Jacob Wetterling case was already more than a decade old, although he had worked it early in his career, as a detective. The investigation seemed to be in a lull when, in 2003, a man named Kevin came forward to say that he'd driven through the crime scene on the night of the abduction in 1989, leaving tire tracks. That information led Sanner and his investigators to change course and believe that the abductor must have been on foot, rather than in a car. It also led them to identify Dan Rassier, who lives near the abduction site, as a "person of interest" in the case. Searches of the Rassier farm yielded no relevant evidence, but Sanner refused to clear him, leaving Rassier, a music teacher, to face suspicion for more than a decade. After another man, Danny Heinrich, recently confessed to the murder in court as part of a plea deal, Sanner finally acknowledged that Rassier was "essentially cleared." The department has handled other high-profile cases that remain unresolved on Sanner's watch, like the murder of Cold Spring Police Officer Tom Decker in 2012. That investigation is still open, although the prime suspect hanged himself. In another case, a local college student named Josh Guimond disappeared in 2002 and has never been found. 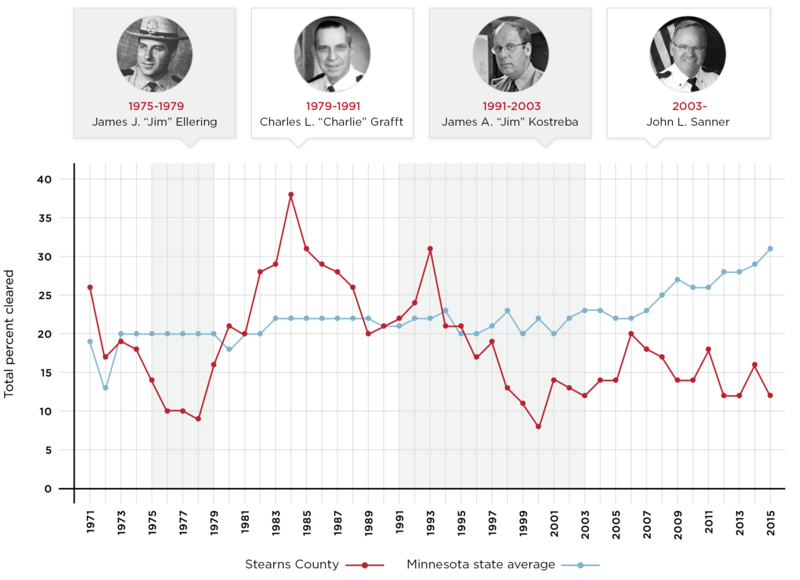 Under Sanner, the percentage of serious crimes the department cleared has ranged from 12 to 20 percent, figures well below the Minnesota average. 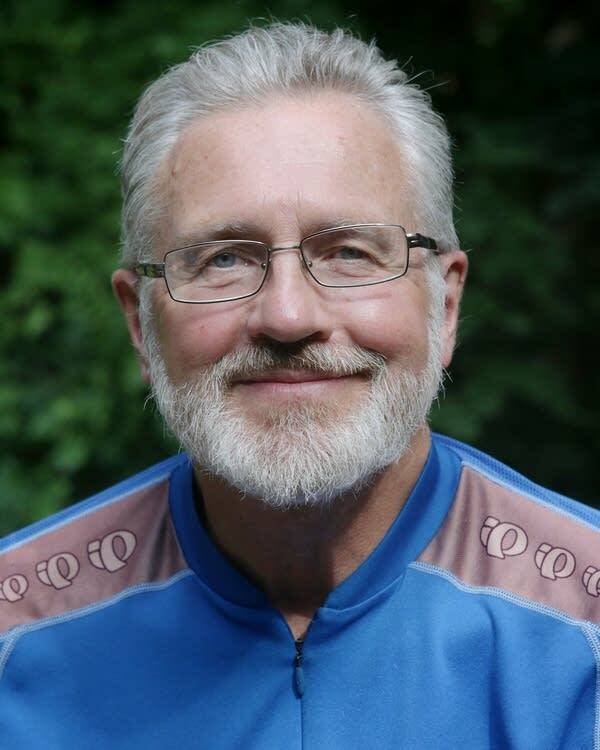 "We haven't had a lot of luck in some of these big cases that we are working on," Sanner said shortly before the Wetterling abduction was solved. "It doesn't deter us from continuing to work as hard as we possibly can and do everything we possibly can to get them resolved. But if you're looking at specifics as to how do we improve this? The first thing that would pop into somebody's head is we need to do a better job of training our investigative staff or we maybe need to do a better job of collecting and preserving evidence so it can be used; those are the easy things. "It's the intangibles ... that are hard to gauge," he said. "I don't think we're unique," Sanner said of his department's crime-solving record. "I think if you look around the state and-or the nation, you'll find pretty similar circumstances. We continue to work our cases, and we bring them to light probably more often than some others."